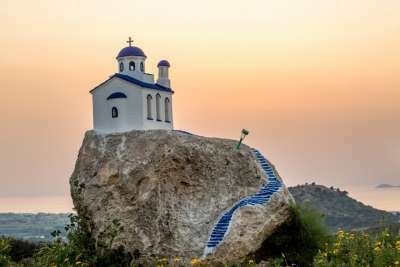 Kos is the less frequented sibling of Rhodes, and the second largest of the Dodecanese islands. An all inclusive holiday in Kos can be whatever you make it, since the island location means travelling around is breezy and speedy. You could be wandering between crumbling, sun-baked ancient ruins in the afternoon, then mingling among cosmopolitan holidaymakers in the resort's beach bar at sunset. And of course, you’ll never be far from the pale, shimmering sand or a marina with bright white yachts. A slice of the golden Dubai pie isn’t as far out of reach as you may think. Drinking and dining can be expensive in the ‘City of Gold’, but you’ll save a hefty amount by opting for an all inclusive break. The beaches, hotels, shopping malls, and well, practically everything, is luxe and elevated (quite literally), so it’s unlikely you’ll be disappointed by what’s included in your package. You could be sipping bottomless bubbles in this millionaire’s playground on a lemonade wage in no time. Spain was the third most popular country for holidaymakers last year, according to the United Nations World Tourism Organisation, but we didn’t need any statistics to tell us that! When it comes to all inclusive trips, the Costa Blanca (notably Alicante, Benidorm and Torrevieja), has nailed it. There are hotels in all shapes and sizes, so you can pretty much tailor your own trip – whether you require plenty of activities for the kids, or are in need of a peaceful spa. Once you have your base, you can explore the hidden gems of this Mediterranean coastline, including pine tree forests and charming castles. You can find sun, sea and sand in plenty of places, but there’s something inimitable about the Caribbean. It could be that the beaches are a little more powdery and the ocean is more of a bubblegum shade of blue, or perhaps it’s the soothing pace of life. Each island has its own vibe: celeb favourite Barbados (apparently Barbs is the new Marbs), has a glamorous buzz, while Grenada is a quiet southern haven. Wherever you decide to go, an all inclusive deal can save you a fortune in flight costs and takes the hassle out of searching for restaurants, when you’ll most likely have everything you need in your resort – and usually a private beach, too. 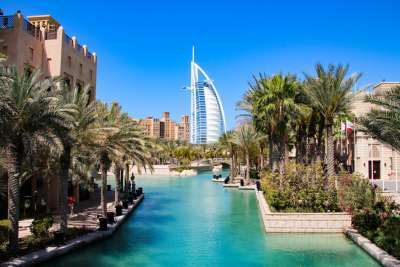 Egypt is well-known for its cheap and cheerful mid-haul holidays, especially to Red Sea spots like Hurghada and Sharm el-Sheikh, but don’t lose sight of all the other riches this country has to offer. 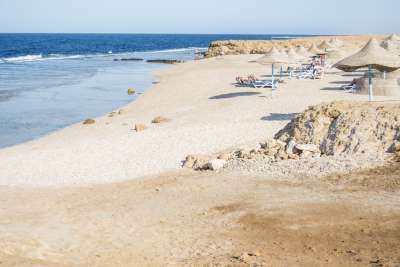 While the main resorts are fantastic for watersports and the cities make visiting the ancient monuments a doddle, Marsa Alam is a more low-key alternative to the usual haunts. It boasts exceptional coral reefs and lagoons where you might encounter a sea turtle or frolicking dudongs - marine mammals that are nicknamed sea cows. Plus, it’s next to the Wadi el Gemal National Park, where you can explore a truly unspoilt side of Egypt. Another Spanish treasure is the Canary Islands, although the archipelago’s dramatic volcanic landscape and star-spangled night skies might almost convince you you’re on the moon! 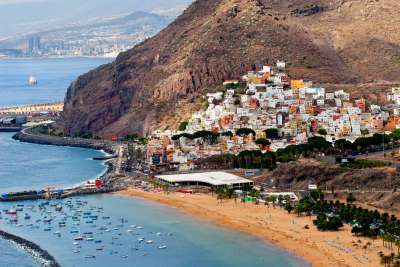 While the Canaries boast rare, rugged terrains and an abundance of national parks, they also have everything you could need for a relaxing sunny break back at the copious all inclusive coastal resorts. 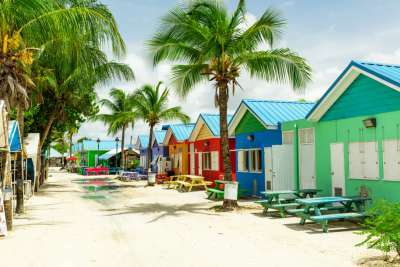 Despite being compact, the islands squeeze in a lot of entertainment for all the family, from golfing and hiking, to splashing around in water parks - or watching whales splash around in the ocean! A holiday to Mexico will be pricier than your average Costa Blanca getaway, but a trip to this diverse country - a patchwork of rainforests, waterfalls, volcanoes and archaeological wonders - will almost certainly be unforgettable! 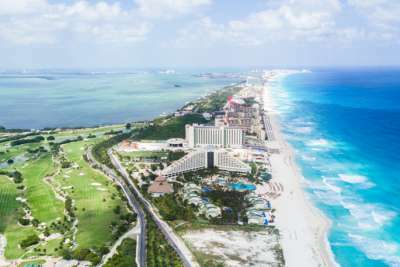 Head to Cancun or the Riviera Maya, located along the Caribbean coastline of Quintana Roo, for the best all inclusive resorts, many of which include lagoon-style pools, beach barbecues and swim-up bars. The area is dotted with ancient Mayan ruins and bountiful coral reefs, but we wouldn’t blame you if you stayed in your resort and made the most of the free-flowing Mexican fare. If you’re low on vitamin D and you need a hit ASAP, then the Costa del Sol is your knight in shining armour. With flight times of less than three hours and plenty of all inclusive steals, you could be lounging on one of Malaga’s famous beaches with tapas in one hand and a cocktail in the other by lunchtime. 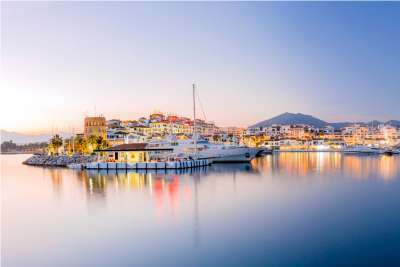 Party animals will find plenty of debauchery in and around Marbella to keep them occupied after sunset, while there are more understated resorts such as Estepona for those looking for some peace and quiet. Most things revolve around the golden coast here, so you’ll find a number of chic bars and boutiques just steps from the sand. The volcanic island chain of Cape Verde, located 300 miles off the coast of Senegal, is a smorgasbord of cultures. 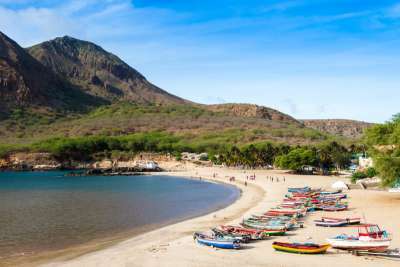 The African archipelago was once a Portuguese colony, and recently it has been dubbed the ‘African Caribbean’ because of its idyllic, tropical backdrop and year-round sunshine. Sal and Boa Vista are particularly popular for mid-haul all inclusive escapes, with flights from the UK taking around six hours. Cape Verde might be nicknamed the ‘African Caribbean’, but its kaleidoscopic markets and carnivals, local morna music and crystal clear coastlines make it unlike anywhere else. We can’t imagine ever getting tired of holidaying in the Mediterranean, but if you did happen to fancy a change, then the Algarve (Portugal’s southern strip), is a picturesque alternative. There are endless cliffs, caves and shimmering bays, plus the lively Atlantic swells make it a great place to surf and kiteboard. You’ll easily find affordable all inclusive deals in resorts like Albufeira, Lagos, Portimao and Alvor, and trust us, you’ll want to be able to try as much of this area’s fresh seafood as possible.